Scout Troops – we salute you! 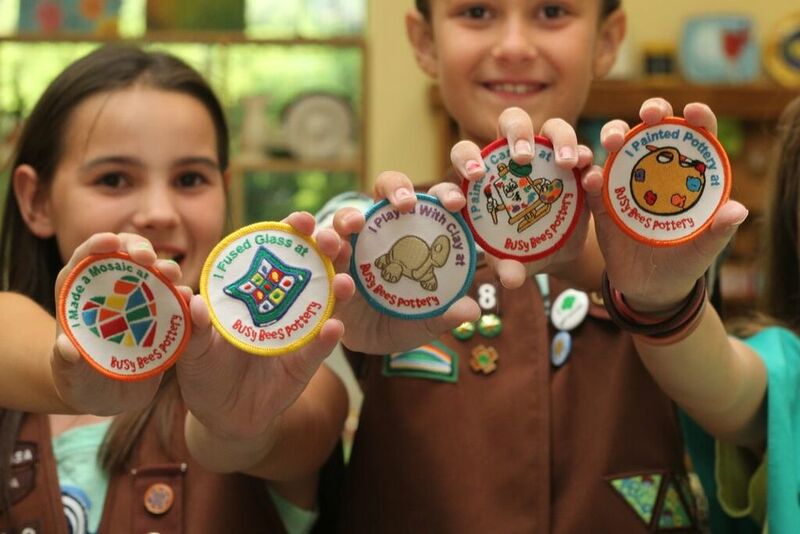 ~learn and earn badges at Busy Bees®! You may schedule your Scout outing during normal business hours or with a two day notice (based on availability) we will stay open late especially for your group. 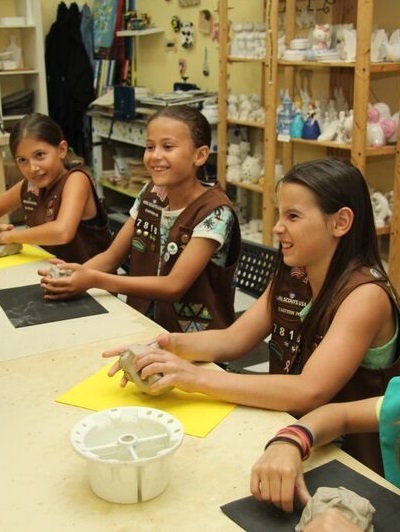 We have programs for canvas painting, pottery painting, mosaics and glass fusing which are available for all scout levels (includes all supplies and appropriate Busy Bees® badge). Please contact the studio at (610) 375-1020 for a customized outing that meets your needs! 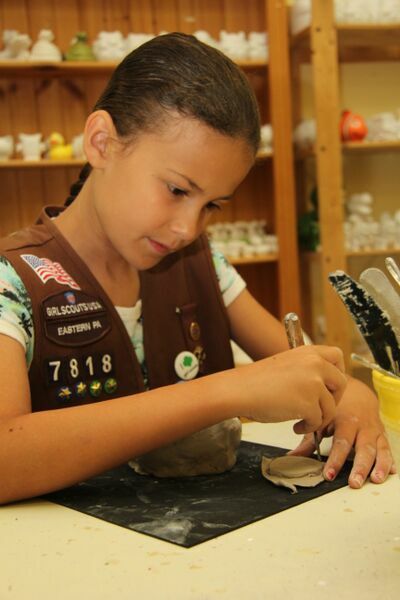 Complete the requirements to earn your HOBBIES / TRY IT’S badge and receive a Busy Bees® Pottery & Arts Studio badge. While you paint, do mosaics, work with clay, fuse glass, or canvas paint you will learn all about your chosen art medium. Cost: Varies depending on medium chosen (includes all supplies and appropriate Busy Bees® badge). Handle With Care: An explanation of what clay is and how to store and care for it. Make a Pinch Pot: Make a pinch pot with provided clay. Coils: Make a coil cup with provided clay. Time for Tiles: Paint a 4″ tile. Grin & Glaze It: A brief discussion on underglazes and overglazes. Fuel & Fire: The troop will be shown how the kiln is operated. 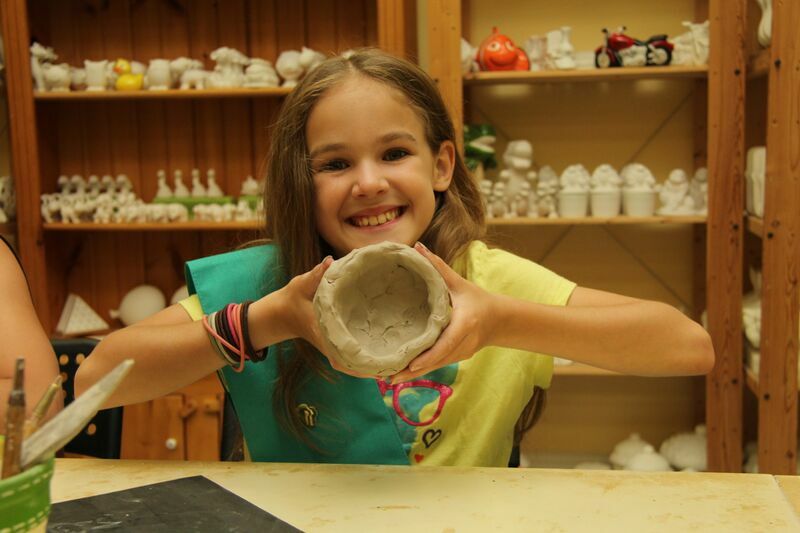 Cost: $14 per scout (includes all supplies, glazing, firing and our “I Played With Clay” badge). Complete the requirements to earn your CERAMICS and CLAY, ARTISTIC CRAFTS, or VISUAL ARTS badge with us. Please call the studio at (610) 375-1020 for your very own customized package.